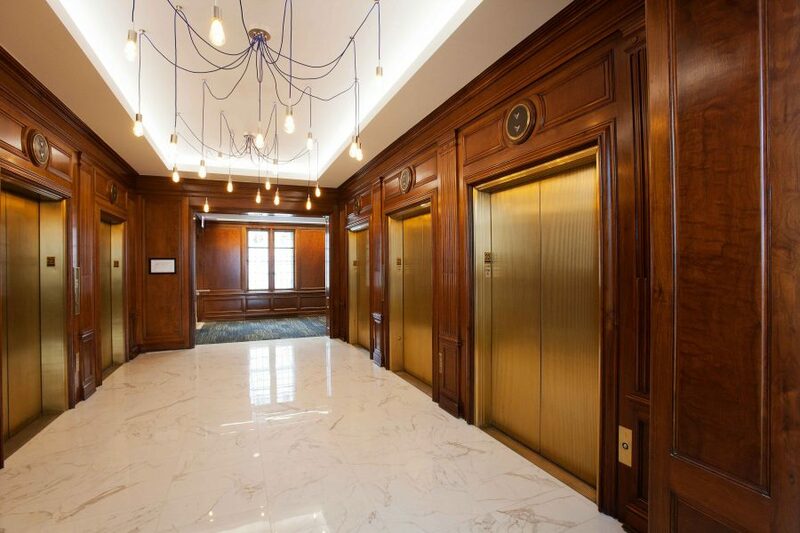 The Telos Group and JLL came to WHA with the challenge of converting the historic executive dining and conference rooms on the penthouse floor into an appealing amenity space for 231 S LaSalle building tenants. 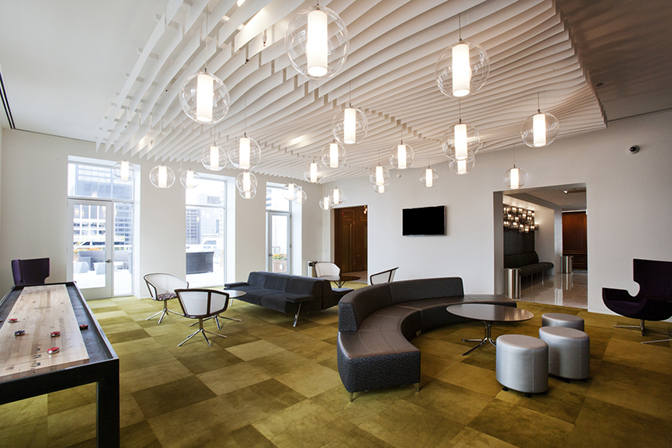 The WHA team selected some of the unique original finishes and architectural details and incorporated those into the new open plan design. The finished design highlights the historic elements with contemporary new furniture, fixtures and finishes. 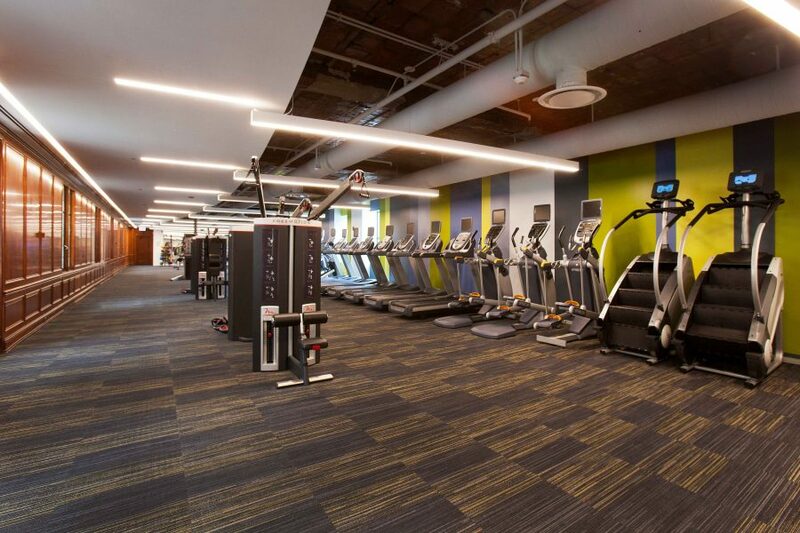 The new amenity space offers a fitness center with state-of-the-art cardio & weight equipment and locker rooms. As part of the fitness center, a new 3-story stairwell was added to provide adequate egress. 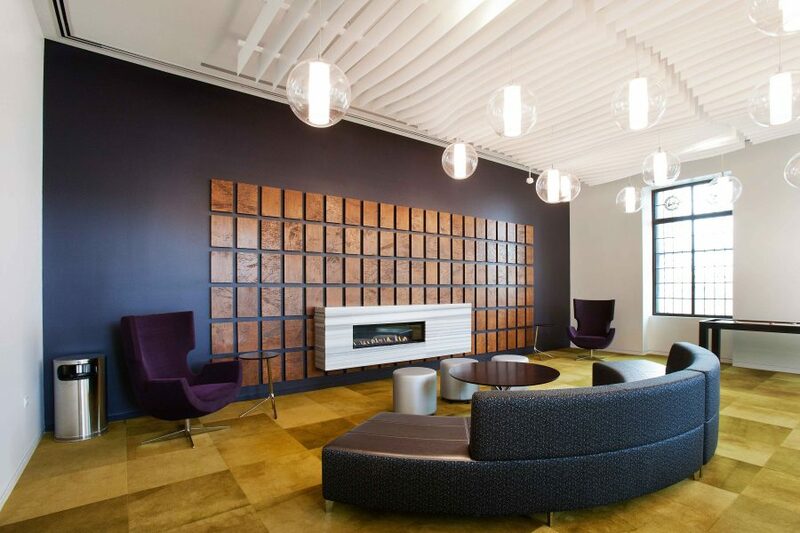 The existing intricate wood paneling along the entire north wall was complemented with an energetic striped accent wall on the opposite side of the space. 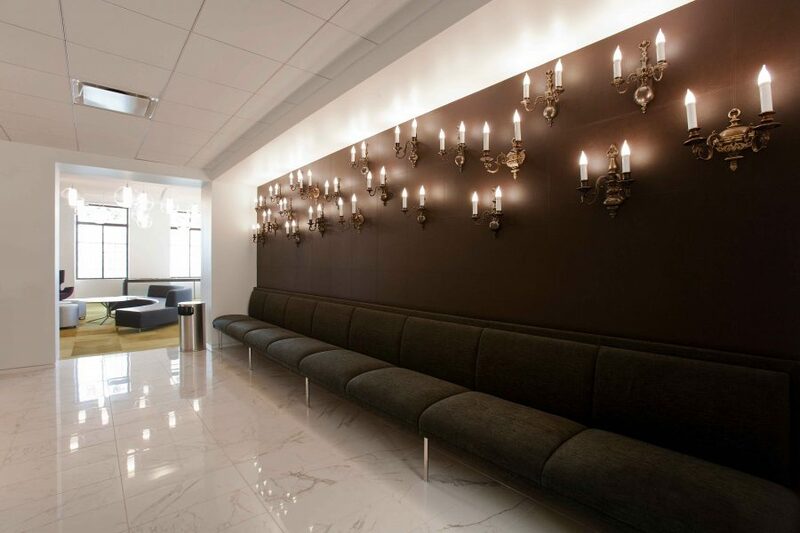 A lounge off of the elevator lobby, complete with inviting furniture, LED TV, and a shuffle-board table, gives tenants a place to escape and relax. Adjacent to the lounge is a partial kitchen for tenants to utilize for catering setup for their events. 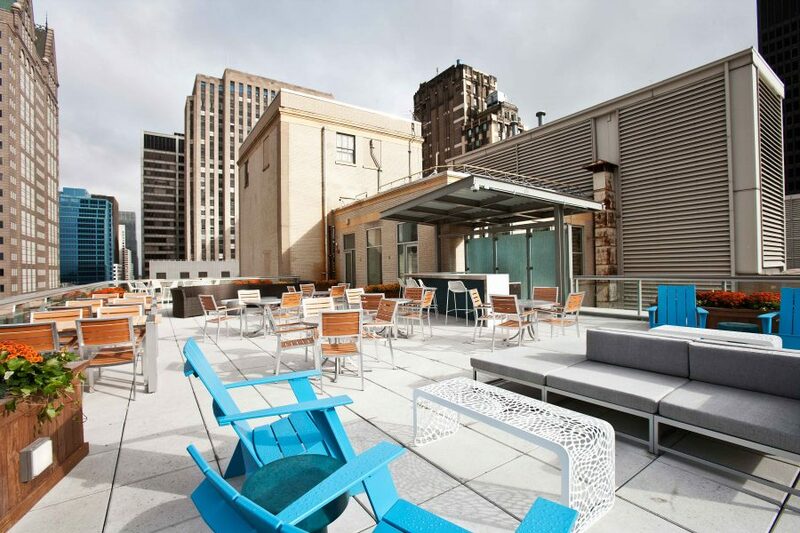 The highlight of the renovation is the expansive new roof deck with lounge and cafe style seating, an outdoor bar with an LED TV, grill, perimeter planters that boast seasonal flowers, and of course beautiful views of the city.